Welcome to #WildcardWednesday! Every Wednesday we ask a question, and whoever leaves us the best response on Facebook or Pinterest will win a freebie of their choice! Above you can see the samples that are up for grabs this week, so buckle in for our question! Well, a psychologist once said the time of day you like best tells a lot about your personality. So Tell us, What’s your favorite time of day? 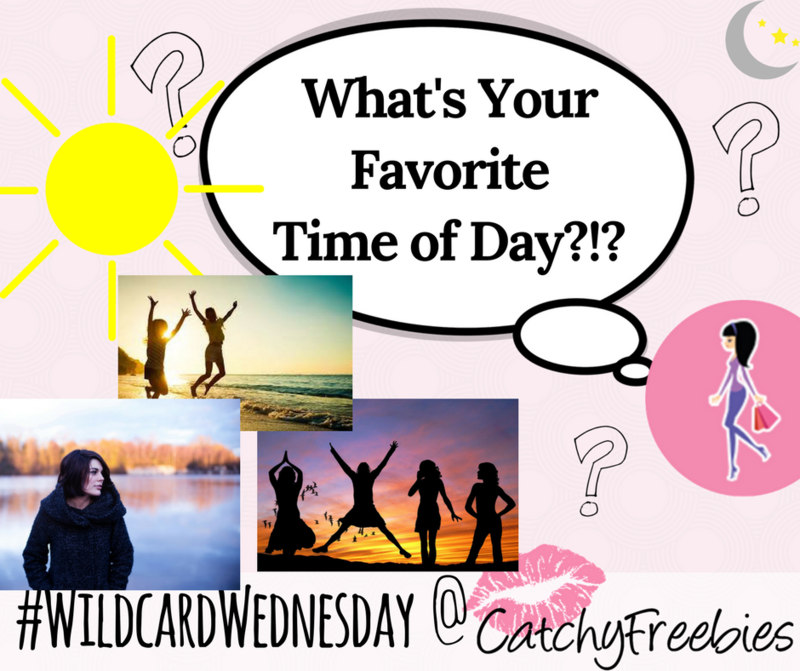 Comment on Facebook or Pinterest @CatchyFreebies using the hashtag #WildcardWednesday for a chance to win your choice of the above samples! Like this post? Sign up for our email newsletter so you never miss a giveaway!